We completely restore properties to a healthy, ‘Clean N Dry’ condition. It’s what we do! Let our fast & reliable Clean N Dry Mold Team go to work for you! Did you know? For insurance purposes and to protect consumers, two different companies must participate in mold inspection and mold remediation. The same company that inspects and identifies the mold may not also remediate the mold. Clean N Dry has a stellar reputation and works well with other reputable companies to get the job done. Our experienced Mold Certified technicians have seen everything. From simple unknown leaks that create hidden mold to mold that has grown in the walls and floors of entire homes that require significant remediation and remodeling. We have worked with every major insurer in the U.S. and have the proper equipment, certification, trained technicians and specialists to manage every step of a mold job. You can trust our extensive experience and the pride we take in our work. We maintain the proper processes and record keeping needed for insurance companies and your peace of mind. Mold isn’t just ugly, mold is alive. It steadily grows, expels spores into the air you breath and can quickly become a very serious health risk. Especially vulnerable are babies, children, and seniors who may have underdeveloped or depreciated immune systems. Adults with compromised immune systems from disease or allergies and also anyone who has weakened lungs or sinuses may experience acute respiratory distress or ongoing coughs and sinus infections from mold and spores. The CDC weighs in on mold by saying all molds should be cleaned up and removed from living areas. Insurance companies agree and legislation exists in every state to protect homeowners, renters, hotel and motel guests, children attending schools, and those who patron public and private buildings. Everyone agrees, mold is dangerous and should be safely identified, removed, remediated, and prevented. If you need a building or property inspected and/or treated for mold, give our Clean N Dry Mold Team a call. We will help you navigate the process by explaining what the process is and setting realistic expectations for the timeline and the physical labor. We can also help you identify the other participating company and put you in contact with those you can trust. History & Experience of Working with and for Every Major Insurer in the U.S. 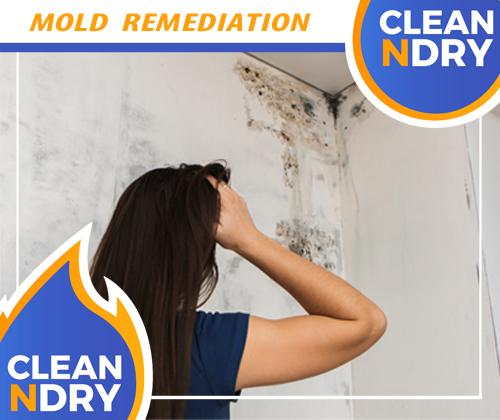 The Clean N Dry MOLD REMEDIATION TEAMS have the experience and certifications you need to be SURE the job is done right. We offer mold inspection and mold remediation services to both commercial and residential customers throughout Central Florida and will travel further for larger jobs and our commercial franchise clients. When you need help, you can count on us. We’ve seen how devastating this type of damage can be, and we take pride in taking the stress off and getting the job done for you. We are happy to provide the education you need about MOLD to keep your property and environment ‘Clean N Dry’, free from mold in the air, air ducts, walls, panels, floors, sub-floors, and anywhere water may leak, sit, or flood into. It takes only 72 hours for mold to turn dangerous to human health. When it’s time to make a decision for mold remediation or mold inspection services, call Clean N Dry. We have the experience, knowledge, response time, reliability, processes, credibility with insurers, customer first attitude, and the dedication to providing the top-rated services that you need. 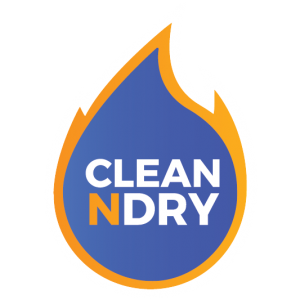 When you are experiencing disaster and have moments to make a decision for water restoration services, call Clean N Dry. You can count on us. Our teams are extremely experienced, knowledgeable, on the scene with fast response times, reliable and trustworthy, thoughtful in their processes, and we have experience and credibility with insurers. Our customer first attitude is the cherry on top as we provide the services that you need. 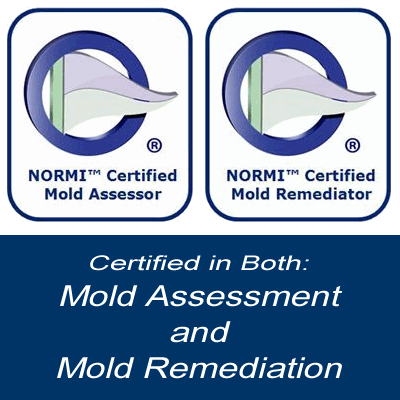 HOW SHOULD YOU CHOOSE A MOLD TESTING OR MOLD REMEDIATION COMPANY? 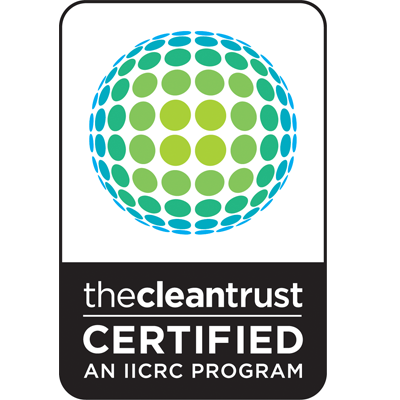 Our water restoration teams are IIRCR trained and certified. Keeping our team up to date with the latest training and best practices ensures jobs completed correctly, professionally, and completely. We maintain the proper licenses, insurance, continuing education, and customer satisfaction ratings to be included on the largest insurance company referral lists, yet we are locally family owned and operated for the personal care and commitment you need during a tragedy. We have worked with AND ARE APPROVED WITH every major insurer and continue to put our customers first. You choose us, and we work with the insurance company FOR YOU. 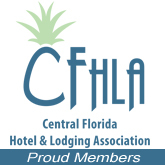 Our teams and technicians have worked in every type of personal residence; from apartments to mansions and also for every major hotel chain and many commercial businesses in Central Florida. We have great references from consistently providing professional results. Choose a company that has experience, is trustworthy in your home, and who knows how to get the job done right. Please take the time to read our reviews. We take pride in our work and helping families and businesses get back to their pre-loss condition. When things go wrong, you need help that will get the job done correctly. When you see the Clean N Dry trucks show up, you know you’ll get great service and excellent results. From our good standing with the Better Business Bureau and every major insurer in the U.S. to our stellar customer reviews and references, you know you’re in good hands and can have confidence in good outcomes when you work with CLEAN N DRY. When You See CLEAN N DRY Pull Up, You Know You Can look Forward To Great Service And Great Results! Clean N Dry is Central Florida’s Premier Commercial Carpet Cleaning & Emergency Restoration Services Provider. 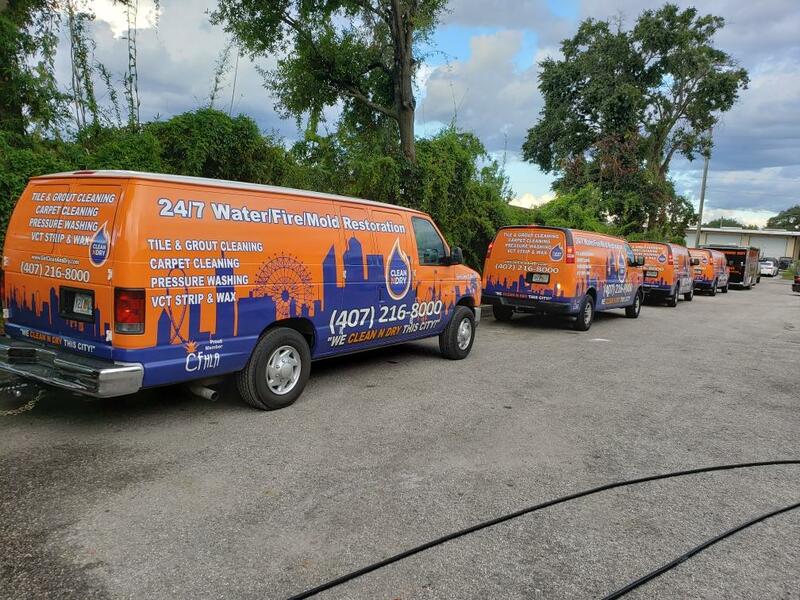 Serving both Commercial & Residential clients in Water and Fire Disasters, Mold Testing & Restoration, and Carpet Cleaning and Flooring Maintenance; We are Trained, Certified, Licensed, Insured in all the Services we provide. Read Our Reviews! © Copyright 2019 | CLEAN N DRY | All Rights Reserved | Marketing by It's Cardinal, Inc.